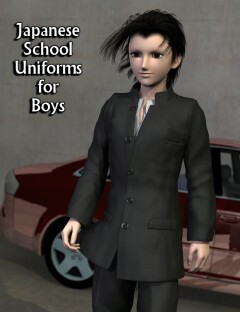 Fired Up For Business V - texture add on for 3D-Age Office Suit V for V4. 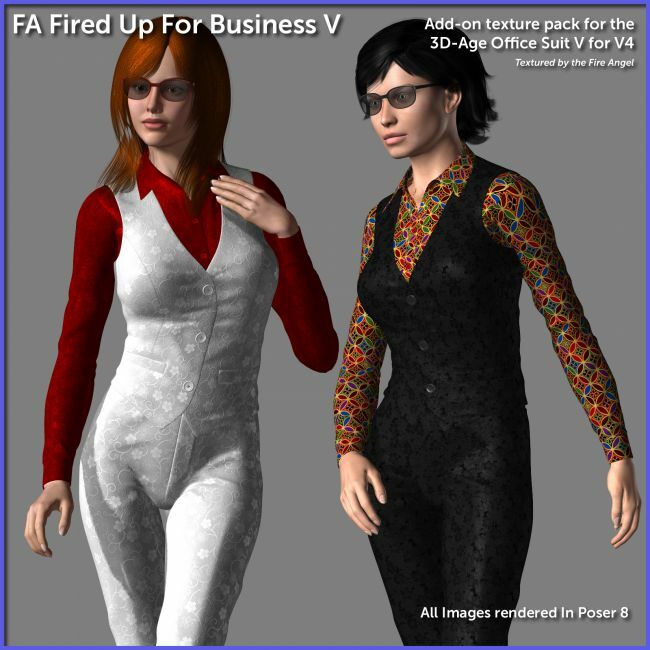 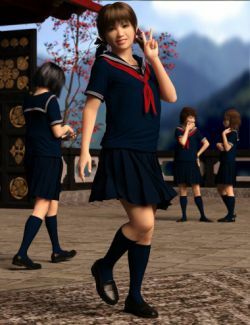 Fired Up For Business V is an add-on texture set with MAT poses for the 3D-Age Office Suit V for Victoria 4. 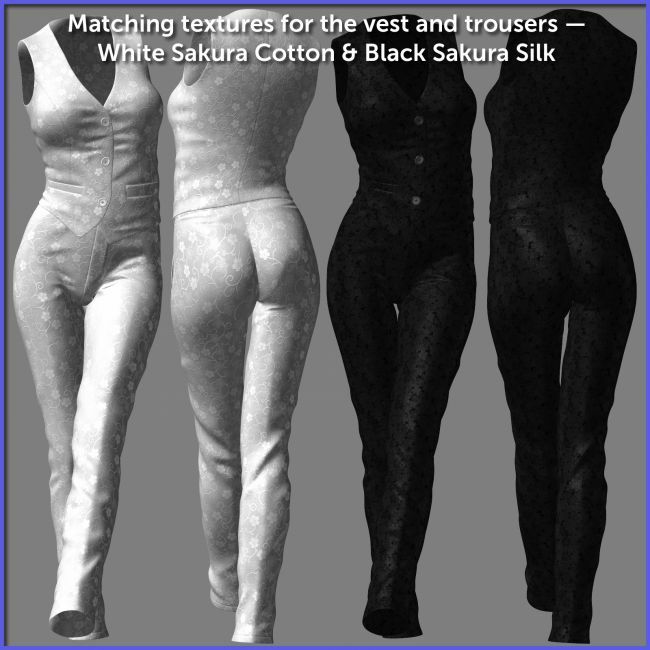 Using traditional Japanese textiles as inspiration the set gives the suit an expensive look, making your Victoria 4 business characters look very successful. 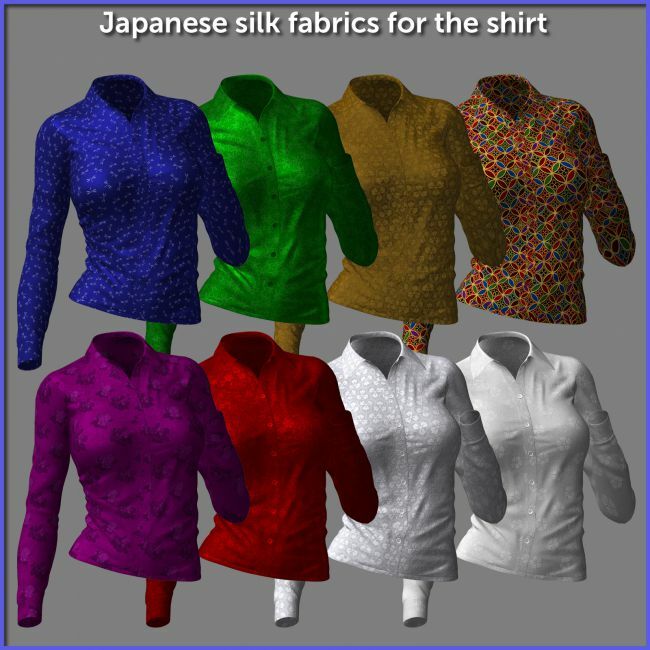 There are eight Japanese silk fabrics for the shirt, Japanese silk or cotton options for the trousers and vest, and four traditional plain weaves for the trousers and vest. 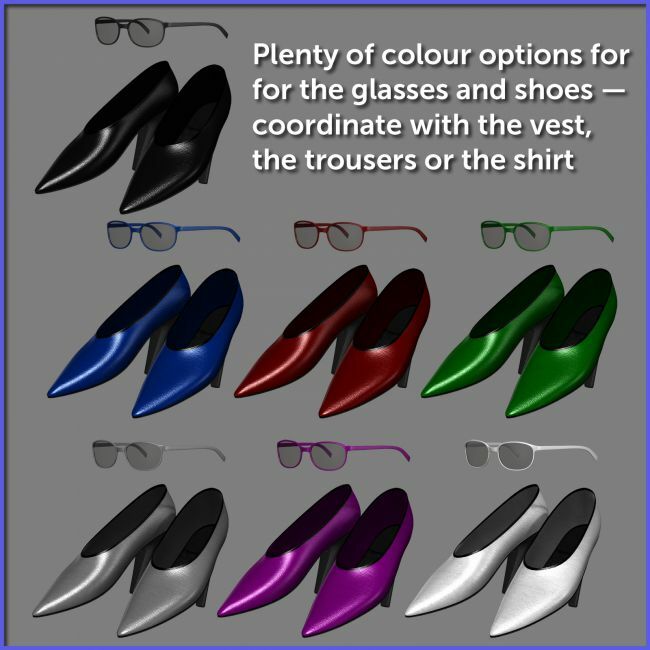 There are seven colour options for the glasses and the same number for the shoes, making it easy to make these accessories fit right in to the colour scheme. 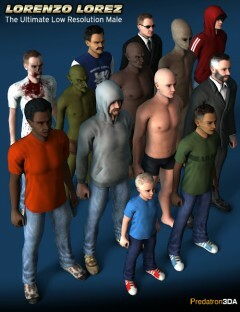 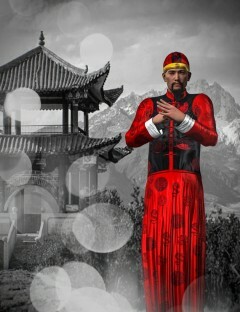 There are lots of opportunities to make your characters look well dressed in this set. 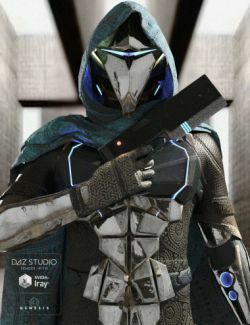 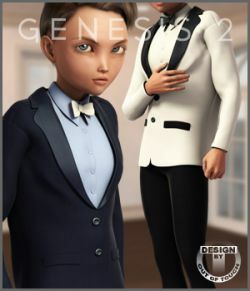 Not only that but if you have 3D-Age's Office Suit IV there is another texture pack that matches this one, allowing you to effectively turn the two suits, IV and V, into a mix and match set, for example use the jacket and shirt from the Suit IV set with the trousers from Suit V for another unique look. 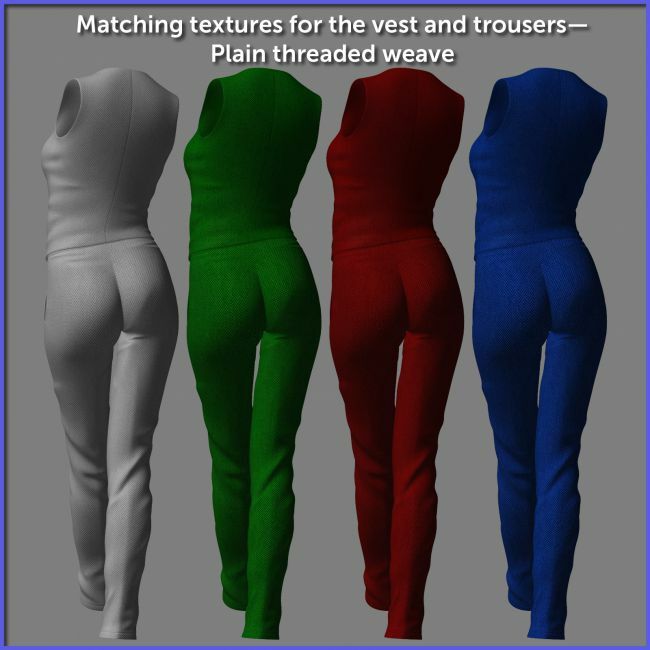 The textures are all at high resolution so they can be used in close-up images. 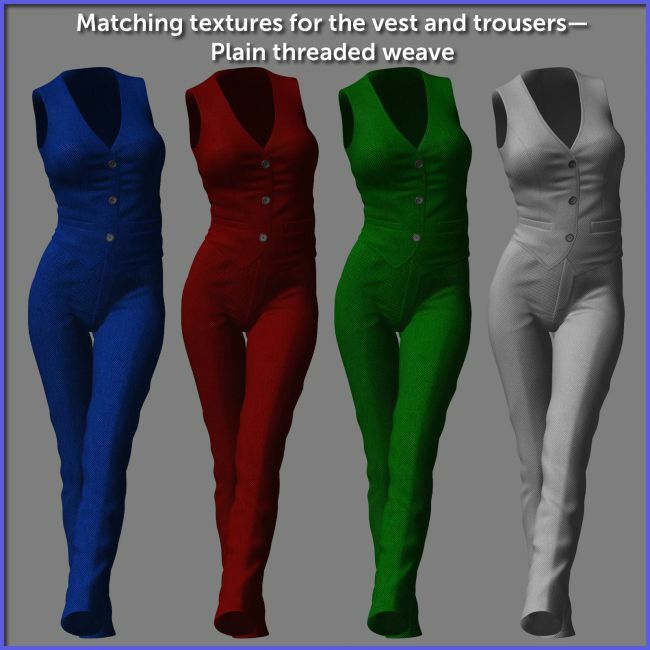 You can see the weave in the fabric when rendering close ups and the stitches that hold the buttons in place. 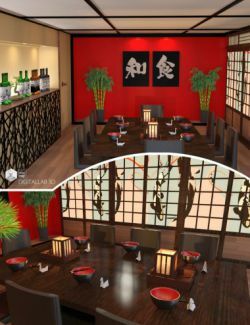 With the largest maps at 4096x4096 and 3072x3072 they can render quickly and look superb. 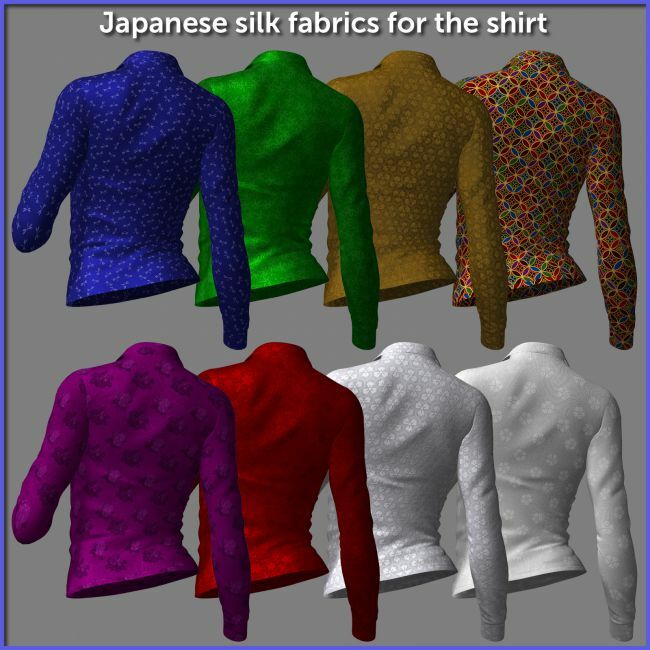 Dress your Victoria in the finest Japanese textiles! 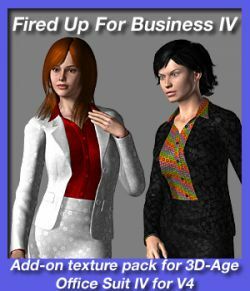 Fired Up For Business IV- texture add on for 3D-Age Office Suit IV for V4.